Nwes Group is registered in accordance with and seeks to comply with the UK Data Protection Act 2018 (GDPR). We follow appropriate security procedures in the storage and disclosure of personal information to prevent unauthorised access by third parties. We also require those parties to whom we transfer personal information to comply with the same. On the online loan form we ask for details such as address, email and financial outgoings. 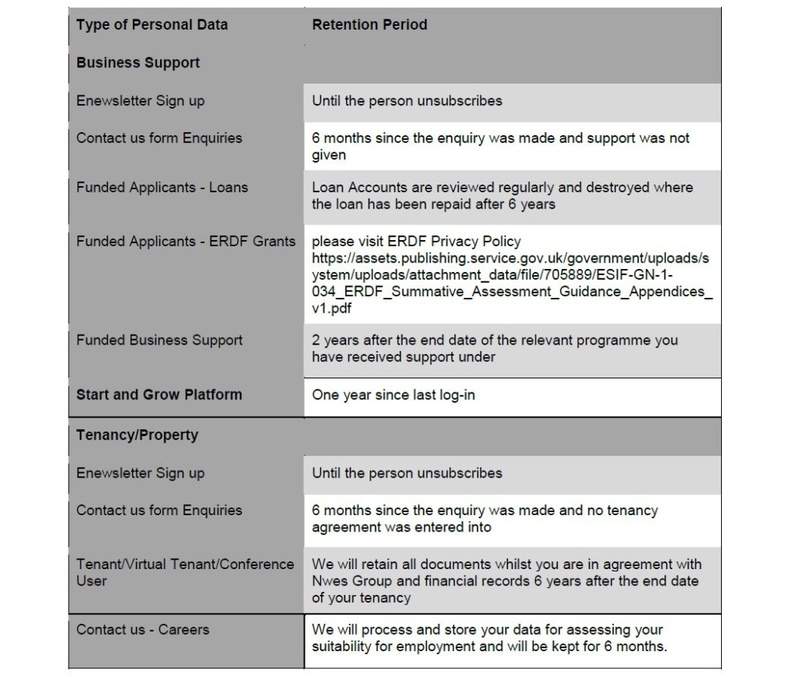 This data is used to assess your eligibility for a loan and your permission to undertake a credit search. Your data will not be used for any other purpose other than the processing of the loan enquiry, it will be shared with the Lender i.e. Start Up Loans/Croydon Loan Fund, Street UK whose platform we use to process loans. All loan documents will be stored securely on our server and will be held for the term of the loan. For any loan enquiries that do not proceed, all documentation including credit search will be destroyed after 3 months of the enquiry.